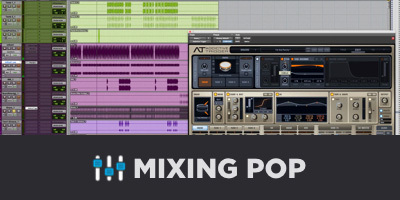 Getting the vocals right is arguably the most challenging aspect of mixing. Vocals are the element listeners will focus on the most, and it’s what the average person can readily define as being “right” or “f’d up.” It comes as no surprise that there are tons of guides on mixing vocals. Unfortunately, there is no single method for getting the vocals right because it’s all dependent on how the vocals sound to begin with and what you intend on getting the vocals to sound like for a particular record. Rather than try to prescribe a method of “EQ your vocals like this”—I think the better approach is to define what to listen for and how to conceptualize things. Yeah, it’s not as easy as “cut 400Hz, boost 1.5kHz, boost 10k and throw on a de-esser”, but ultimately that kind of thinking is extremely limiting and tends to produce subpar results. The best approach is to say “here are various qualities that the human voice possesses, here’s what we tend to hear on record, and here’s some of the considerations we should take in terms of processing.” It takes more conscientious thinking — but that’s why you’re here. To get the best results and not settle for the easiest. There are qualities to the human voice that are important to be aware of when mixing. Vocals are considered “broadband” instruments in that they possess tonality from the low end of the frequency spectrum to the high end. Sung words are fundamental tones that are shaped by various parts of the vocal system to produce sounds that we can linguistically identify. Air travels from the lungs through the vocal cords which are controlled to produce the fundamental pitch and overtones. This sound is then harmonically shaped by the mouth to create formants — more commonly known as vowel sounds. Additional sound and shaping components are added through the placement of the tongue, movement of the lips, tension in the nasal cavity, position of the jaw and tension on the throat. This process is called phonation and it all adds up to something as unique to each person as a fingerprint: the voice. In addition to the voice itself, we also have to consider the space the voice is being recorded in. Small, acoustically-controlled spaces will have tighter reverb tails but may sound “boxy.” Larger spaces will generally sound more even in frequency response, but will have longer tails that sound “roomy.” Small, untreated spaces will not only sound boxy but also have strongly marked room tone and often may cause broadband thinness called “comb filtering”. Ideally, the room is designed for vocal recording, but that doesn’t always happen. We may need to address some of these qualities in the mix as well. Lastly, there’s the vocal recording chain itself. The microphone, the preamplifier and even the distance the vocalist is from the microphone will all effect the frequency curve of the sound. Sometimes in a flattering way and sometimes not. I think of treating the vocal in two parts; first, cleaning up the imperfections, and second, creatively sweetening the voice or catering it to the record. For this article, I’ll be focusing on the first. The reason is there’s almost an infinite number of ways to approach EQ creatively, but there are some fairly objective things to listen for when it comes to establishing a solid foundational sound to then sweeten. In the voice itself, we want to listen for distracting inconsistencies. The continual morphing of the sound is what allows us to create words—so inconsistency to a certain degree is ok. But sometimes inconsistencies can pull us out of the moment. The best way to approach inconsistencies is with either dynamic EQ or multiband compression — something that adjusts the tones when they’re too present and resettles when the voice is more evenly balanced. One of the most common issues is the overabundance of “s” and “t” sounds. There’s nothing worse than an enchanting vocal performance riddled with harsh sibilance. Completely ruins the vibe. 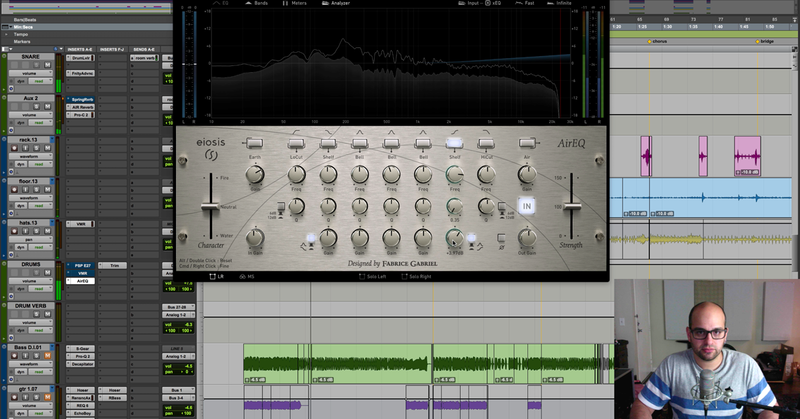 A type of multiband compressor called a “de-esser” exists for exactly the purpose of taming sibilance while leaving the rest of the voice intact. Sometimes a singer will tense their neck, either because of an emotional cue, or because the note is high, or simply because they started looking upward while singing. This pushes the energy into the upper midrange. Because this can be evocative of tension, passion or anger, it’s important to decide how much of this needs controlling. Similar to a de-esser, dynamic EQ in the upper midrange can help limit excess presence. This is the sound that occurs when you pinch the front of your nose. It’s actually the suppression of higher tones which causes the energy to exacerbate the midrange. This is sometimes described as “honk” and will occur anywhere from about 600Hz to 2kHz depending on the shape of the vocalist’s mouth and nose. Dynamic EQ attenuating honks can work, or if the voice is just generally honky, a broad static cut at the offending frequency band should do the trick. Partial closure of the glottis results in something called vocal fry. It’s pretty obvious “metallic” texture that Britney Spears made popular as part of her delivery. On purpose, it can work as a device. However, if the glottis closes off a bit, not enough to make a distinct vocal fry, we still get a brassy shape to the harmonics and concentration of energy into the 400-700Hz range. Sometimes there’s nothing that can be done to really mitigate this. However, a bit of EQ attenuating in this range can sometimes help. Now let’s talk about the sound of the recording itself and some of the things to watch out for. Proximity effect is the low end build up that occurs when the vocalist is very close to a cardioid pattern microphone. If this is simply because the vocalist was too close, a bit of low shelf attenuation should fix it up no problem. If the singer was moving back and forth from the microphone in an uncontrolled way, multiband compression may be a better solution. Excess energy in the low mids can occur because of the personality of the microphone (RE20s are great vocal mics but tend to need a little attenuation around 400Hz for example), or because the room is on the smaller side causing room tones to build up. This is pretty common in vocal records and can sometimes require a bit of tact to treat. The temptation is to remove a ton of this stuff living around 300 to 600Hz. But be careful, because that’s also the fullness of the voice living there, particularly for female vocalists. Sometimes it requires a couple of EQ bands with narrower Q widths to clean this range up without losing body. And of course, there are problems that can occur as a result of the voice itself, the recording setup or both coming together. Certain mics, particularly dynamic microphones (especially of the ribbon variety) tend to roll off on the top end. Even the brighter of the dynamics like RE20s and SM7s will come off as dark. Nothing a simple treble boost (usually with a gradual slope) won’t fix. Just play with the corner frequency and slope a bit to make sure you aren’t pulling up too much of the presence range while you restore the top end. By contrast, sometimes vocals come in with too little <250Hz. Maybe this is because of the voice itself. Maybe the mic or preamp was light in the booty. Fortunately, this is also a simple fix to an extent. A wide bass boost should fix it up. The exception is when the singer is in a range that lacks low-end fundamental tones. Here you may need to either embrace the sound of the voice for what it is or roll down some top end or upper mids as a means of bringing the focus of the sound back to the low end. This tends to come from mic choice, but some vocals are just over or under-repped in the midrange. Smoother vocals need a little push in that 1-2k range to give them the forwardness to help translate to smaller speakers. One of my favorite vocal mics is the Lucas CS-4, but if I had to nitpick I would admit it sometimes needs a bit of help in that midrange. By contrast, U87s are also a classic pick for vocals but tend to be a bit aggressive in the mids for certain styles of music. It’s kind of hard to attenuate this out without suppressing the vocal sound, but thoughtful EQ’ing, particularly in regards to the Q, can get the job done. Of course, certain styles of music just want that 1-2k range for days. Rap comes to mind and sometimes Pop as well. This might be one of the few times I recommend consulting a frequency analyzer. Sometimes a bit of excess rumble gets into our vocal capture, and unless we have some big speakers we might not hear it so readily. A simple high-pass filter will get rid of this without much effort. Likewise, sometimes the treble stretches too far. To my ear, this is marked by the vocal seeming to extend beyond that bound of the song. Too much of this treble boost sounds “cheap” and “artificial” and tends to translate very poorly to lower resolution audio encodings. Rolling off a bit of top end with some attenuation, or even using a low-pass filter with a very high corner frequency can help sit the vocal back in the record and keep it from sounding cheap. The secret to EQ’ing our vocals right is to know what to listen for. The solution to these problems is pretty straightforward. But we have to know what problems we’re fixing. Once we’ve fixed up any problems, it’s then up to our creative choices. We can change the tone curve for style purposes, like leaving things a bit husky in the lower midrange to convey intimacy, or pushing mids to make the vocals very forward, or stretching the treble to make the vocal “shiny”. Once we have a “neutral” starting ground, we can then cater to our creative intentions without anything getting in the way. 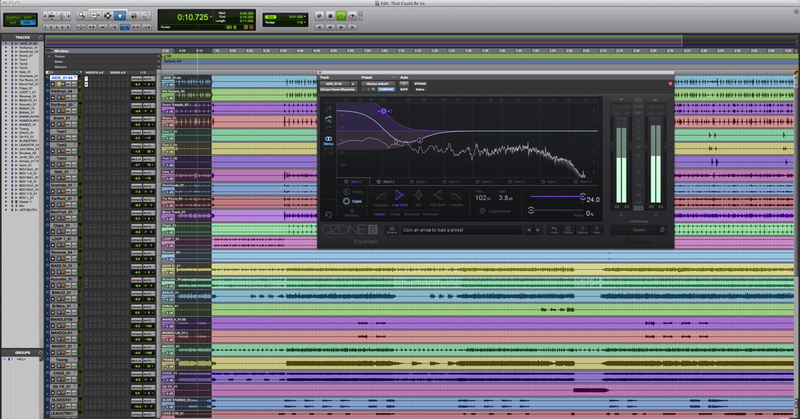 If you’re interested in taking your EQ and multiband compression skills to the next level, we recommend checking out Mixing with EQ and our Multiband Compression Workshop.